Welcome to JD Careers Out There, Pre-Law students! Should I go to law school? It’s a good question. Law can be an exciting career path, but it’s not for everyone. You’re definitely doing the right thing by looking at what you can do with a law degree before making the big commitment to attend law school. Some people only think about what they want to do when they grow up after they’ve graduated law school. Below, you’ll find Frequently Asked Questions about choosing law as a career path. But first, if you truly want to find fulfillment, I recommend that you reflect on what you want in a career. We’ll help you here with this critical first step so you don’t end up frustrated like those who chase a path blindly. 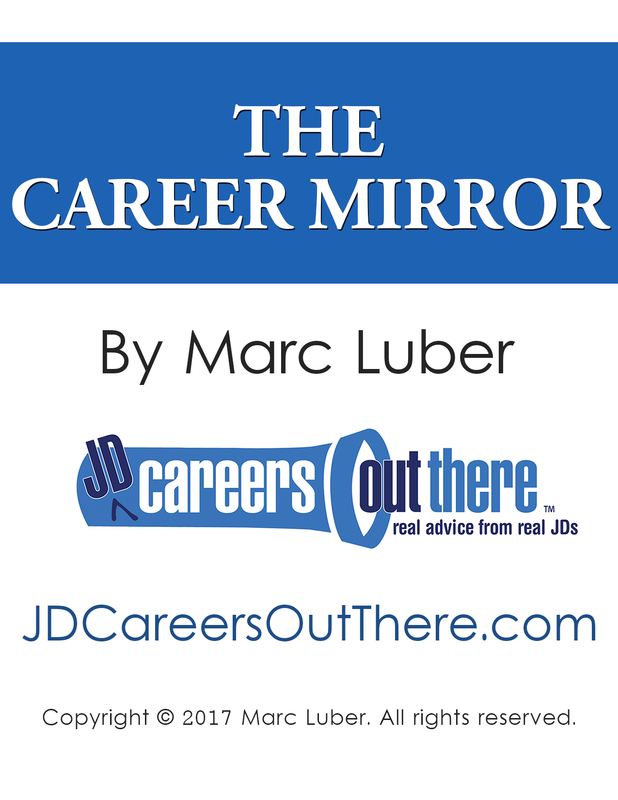 If you haven’t already done so, sign up here, and we’ll send you our FREE self-assessment tool: The Career Mirror: Reflection Questions For Your Job Search. *Gmail users: make sure our email comes to your Primary inbox rather than the Promotions tab. 1. Should I go to law school? This is ultimately a personal decision, which is why you should get in touch with yourself and complete The Career Mirror tool. Then, check out this video on who should go to law school to see if it’s a good fit for you. 2. I will earn a lot of money if I go to law school, right? Join JDCOT for full access to this and other advice-filled videos and transcripts. 3. What can I do with a law degree? Lots of things! A law degree is a really versatile degree. Going to law school helps you build a skill set that can benefit you throughout your life and be applied to a wide variety of career paths both in and out of law. 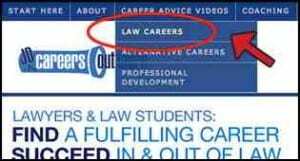 As you’ll see below, we explore all of the different jobs to do with a law degree in our videos here at JDCOT. We also talk extensively about the skill sets you’ll develop in law school and how to make them work for you. 4. What’s it like to be a lawyer? There are many types of lawyers out there. You don’t need to choose a focus now, but the sooner you know what you want to do, the better. Having some direction will help you choose classes and internship programs. Hearing about what lawyers do will also help you decide if this is the path for you. Watch our “day in the life” law career videos to find out what being a lawyer is really like and to get an idea of what types of law practice interest you. Join JDCOT for full access to our video interviews and transcripts. 5. Why do you have alternative careers for lawyers on your site? Some people go to law school with a plan to use the degree and skill set to do something other than be a lawyer (like me – you can read my story here). In today’s tough job market, many young law grads might look to these careers because they aren’t able to find work as a lawyer. There are also a lot of people who don’t do self-reflection and career research before law school, only to end up unhappy with their careers in law down the road. I interview people who have found success in alternative careers for lawyers to help everyone find a career that brings them fulfillment. I don’t necessarily recommend going to law school if you know in advance that you want to pursue one of these paths, but it’s valuable for you to look into these careers now and see that you have options outside of the traditional path. 6. Law school is a big investment. How can I be sure that I’m making the right move? Because law school is such a big investment, it’s worth spending some time and money upfront on career research and self-assessment to make sure it’s right for you. I can help you work through that question and recommend other tools that fit your situation (I like the Myers Briggs Personality Type Assessment, for example). Click here to find out more about working with me. If you really aren’t sure and there’s nothing specific driving you towards going to law school, my advice is to put it on ice. I went to law school straight out of college, like most people do. I knew what I wanted to do – work in the music industry – and I was advised that law school was a good way to get there. Some of our guests, however, went to law school after working for a few years. The perspective that comes from having real-life experience after college can help you get more out of law school. This video on when to go to law school lets you hear how one of our guests reached the decision to work first. Join JDCOT for full access to professional development videos like this one. 7. What law school should I go to? So you’ve taken the LSATs, applied and gotten in to a few schools. How do you decide between them? You’ll want to think about cost, rank, location, and specialties. We don’t share advice on specific schools, but you can check out our law school videos to find out what professional lawyers have to say about the importance of law school rank. Join JDCOT for full access to our interviews and transcripts. If you have questions or comments, feel free to contact me via the contact form. Enjoy the site!